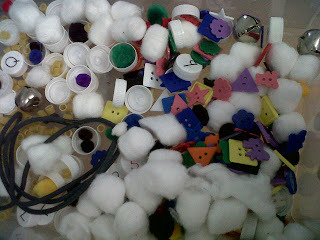 My boys and I have been playing a lot with the 30 Days to Hands on Play Challenge. Some days the boys aren't into the particular activity that I set up but we go with the flow and spend some quality time together. Each day there is a new prompts to challenge parents to get involved for at leas 15min of un-inturrupted play with their kids. 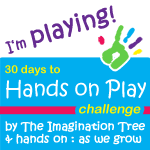 I do encourage everyone to check it out the Imagination Tree and Hands On: As we grow. You can also follow discussions on the Play Network. 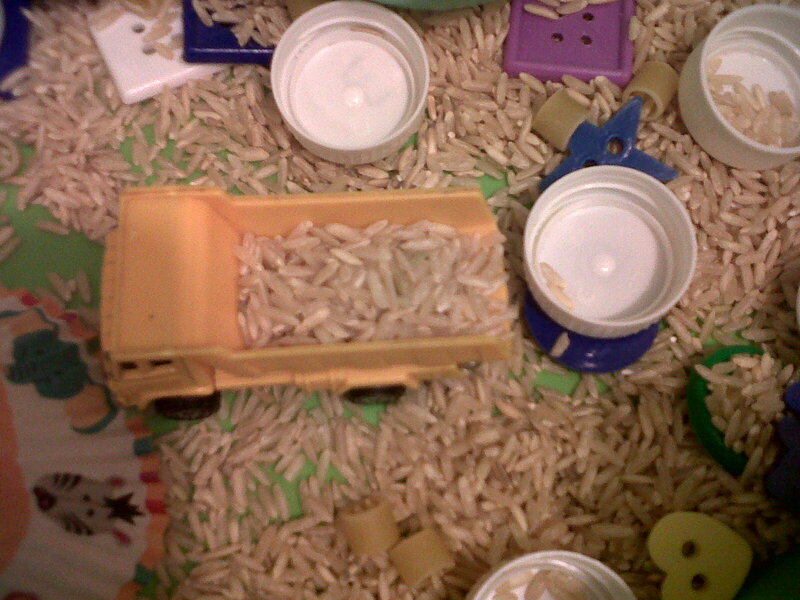 The little dump truck and an excavator joined the fun. 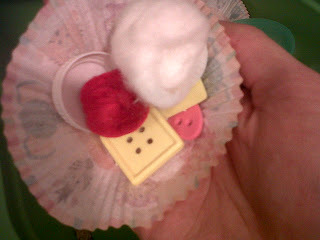 TJ made me "many delicious treats"
I made 2 bins so that each boy could play without fighting. They traded bins part way through by moving around on their own. I basically opened my craft drawers an emptied out all the containers. But the fruit of the spirit is love, joy, peace, patience, kindness, goodness, faithfulness and self-control. Against such things there is now law. What to do with all the leaves?! Designed by April McKinnon. Simple theme. Powered by Blogger.